From time to time legislation is introduced that would require or allow public disclosure of information that is included in tax returns. Such legislation undermines the traditional notion of taxpayer privacy and business confidentiality. 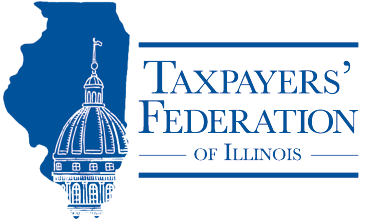 The Taxpayers’ Federation of Illinois opposes legislation of this type as it hinders a key premise of our voluntary compliance tax system. Taxpayers have a justifiable expectation of privacy in the extensive information they furnish to the IRS under penalty of fine or imprisonment…. [Our] tax system is based on voluntary compliance. Many observers believe that the degree of voluntary compliance is directly affected by the degree of confidentiality given the information that is provided to the IRS…. The stated purpose of these “transparency” efforts is usually to evaluate specific tax provisions and to ensure equal treatment of all taxpayers, through legislative, public, or third-party analysis of the disclosed information. There are better and less invasive means to accomplish these goals. The Legislature should periodically evaluate the provisions of our tax code, but the information necessary to complete this task can be obtained from the Illinois Department of Revenue, which has access to all returns filed, and can provide aggregate or properly segmented data to the legislature (and the public) and can do so without violating taxpayer confidentiality. Illinois’ tax laws and returns are complicated, particularly for large and complicated businesses. Access to information from these companies’ returns will not improve the public’s perception or understanding of our State’s taxes. The information will be confusing and potentially misleading. If public disclosure of tax information of some taxpayers is adopted in Illinois, smaller businesses and individuals are a logical next step. Illinois will become even more of an outlier in its tax policies and therefore an even less attractive state to invest and create jobs. Businesses operating in Illinois will be at a nation‐wide disadvantage; many of their competitors will not be subject to the disclosure requirements. Other states will use these provisions as examples of Illinois’ taxpayer climate in order to gain economic advantage. The Illinois Department of Revenue’s ability to obtain federal tax information from the IRS (in order to enforce our tax provisions) may be jeopardized—the information‐sharing agreement between the federal government and state agencies is very protective of taxpayer privacy. The Taxpayers’ Federation of Illinois is prepared to work with those who are interested in evaluating specific Illinois tax provisions, to fashion inquiries of the Department of Revenue that will assist in that evaluation, while protecting confidential information. Such confidentiality is key to our voluntary tax system, and should not be jeopardized.